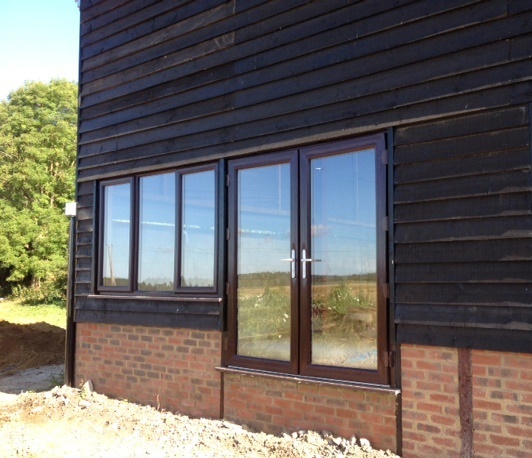 We have windows and doors in! Lots of bits and pieces have been happening recently. Building work has slowed down a bit since the heady days when the walls went up. The thing holding us up is that the concrete laid as foundations for our floor has cracks and although it’s quite likely that these are just cracks caused by the concrete drying, we need to be sure they aren’t a sign of something more serious like subsidence. So we wait for someone with structural engineering knowledge to assess them and sign them off. Once that is done we can put in the framework for the first floor and with that in place, we can start to put in the panelling that forms the interior walls. In other words, we’ll have rooms. Meanwhile I have been working on paperwork still – the end is in sight finally. Actually, I hope it is, every time I say that to myself, I remember some other record sheet or schedule that I’ll need and it goes on the job list. We’ve ordered and paid for our industrial dishwasher, the final payment on the equipment from Avedemil has been made and 4 pallets including vat, racks, wash tubs, multimoulds and stainless steel tables should soon be on their way to us. The pipework to divert our milk out of the main milkline before it can be cooled or can get into the bulk tank is on order and we’re pushing for it to be in by 11th August. Why 11th August did you ask? Well because officially I have a date to move south. 7th August. And come what may, I will be on the payroll as of the 11th as with Rose on holiday in Greece, I’ll be managing the build and using our warm milk, I’ll be making trial cheeses in the kitchen of my house and then maturing them in a wine fridge. It will be good to get my hands on some curds again – just have to remember to order a few key bits of gear: starters, a tub to make cheese in, an electric blanket and indeed the wine fridge. 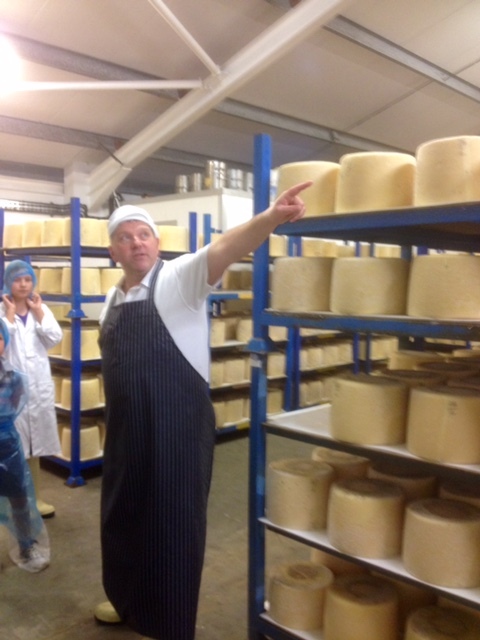 The trial cheesemaking came about on a visit from Jason Hinds, David Lockwood and Bronwen Percival from Neal’s Yard Dairy. They came for an informal morning chat to look at progress, talk about the quality of cheese they are looking for and its implications for milk quality, sales and advice on our financials. All three of them felt that as soon as the milk was in place, making some kitchen trials would be well worth the exercise in understanding where the milk quality is at this year (it’s bound to be rather different to February when we last did any testing and again to last summer when I was making trial cheeses at SAF) as well as hopefully having something to taste and start to comment on. We’re going to go down to London for a big cheese tasting with Bronwen at the end of August which will be a useful calibration exercise. In theory I know what their cheeses are like but it’s a few years now since I’ve been tasting them regularly and I’ll need a refresher to check out our washed rind competition. For Rose, seeing how Bronwen tastes, assesses flavour and quality and understanding what she is looking for will be invaluable. It’s her job to look after sales when we’re up and running so a bit of calibration with one of our customers (we hope) can only be a good thing. So it’s a mixed bag as I’m sure will be familiar to anyone who’s been involved in building work: some progress, some delays and on not too many occasions the odd step backwards. Overall though we’re getting there and with a confirmed date in the diary for me to start work, it’s getting real. Well, it’s not so long since I was getting excited about concrete being down on the floor and drainage channels being dug. However today, I have received most exciting photos. 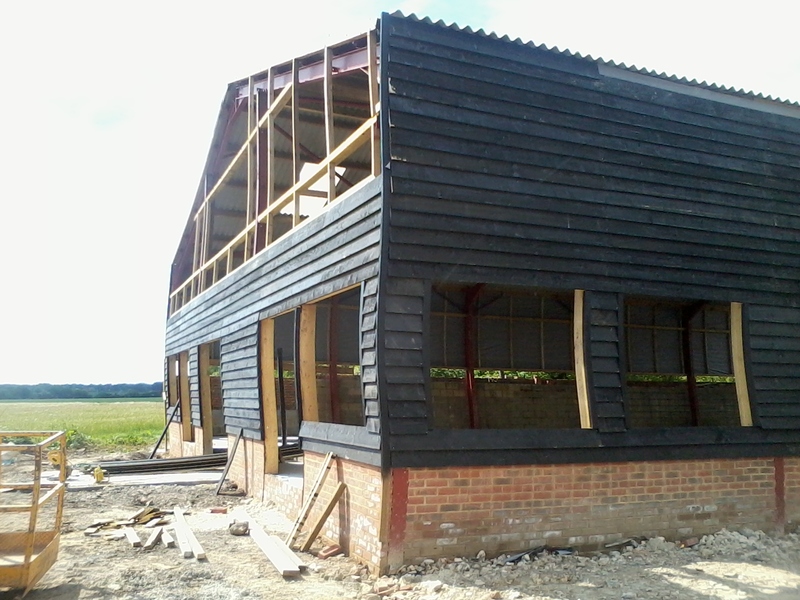 The outside walls are nearly up. Most of the cladding is up and you can really get a sense of what the building itself will look like finally. It’s looking pretty good, I must say. Meanwhile, I am still working on HACCP and Quality Systems paperwork. It’s a long haul and will be the subject of another post in due course. Just need to get the stuff finished first! 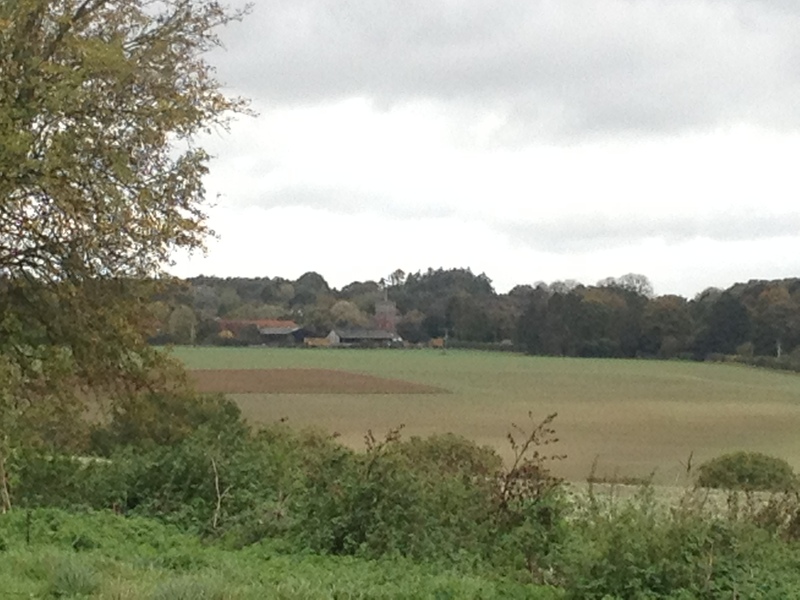 Nettlebed Creamery as seen from the Western corner. The 2 Cheesemaking Rooms (1 for St Bartholomew and 1 for the blue cheese). Nettlebed Creamery, first floor. This is where our offices and staffroom will go. 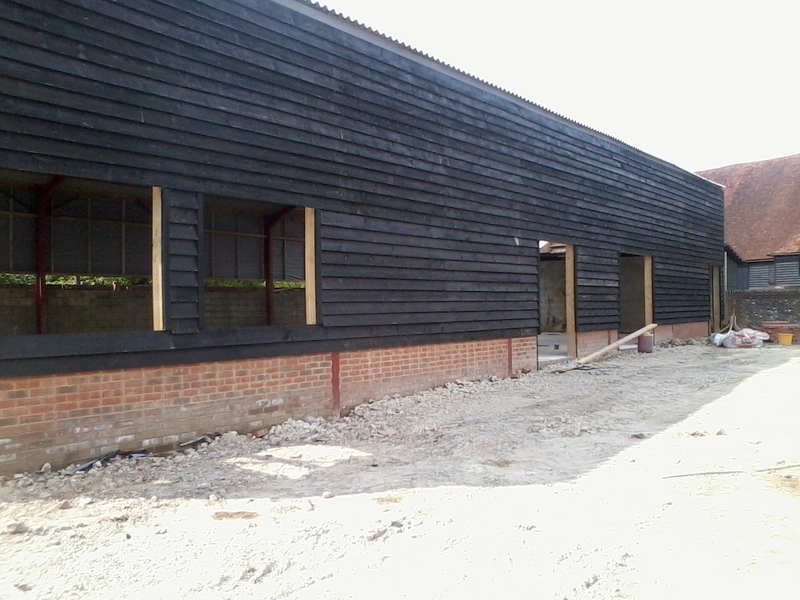 Nettlebed Creamery, the Western side. Look. Doors. Technical Cheese Geekery – Can’t wait!! Two years ago the Specialist Cheesemakers Association and Neal’s Yard Dairy held a conference aimed at furthering the links between artisan cheesemakers and the scientific community. Despite a generously discounted ticket offered by Bronwen Percival, I was too broke to afford to go. At the time, I wasn’t making cheese either so instead of experiencing it in the flesh, I pored over the video files that they uploaded later to listen to presentations, particularly by Marie-Christine Montel on microflora in raw milk. The dates for this year’s conference have actually been in my diary since last September but there was still a present worry that with all the money we’re spending on building a dairy, going to the conference would stretch the cashflow too far and I’d have to miss it yet again. This year, as we’re hopefully starting to make cheese in July, all the topics which prioritise milk production for raw milk cheese, are even more relevant. Without expecting to get anywhere but thinking we may as well have a go, we applied for a bursary and got one! With the condition that we buy one ticket, we can get another ticket paid by the bursary. Really looking forward to it. It’s going to be GREAT. Last week, the Soil Association announced three winners of its Dougal Campbell Cheese Bursary. We applied, for Nettlebed Creamery, in early February and to be honest didn’t really expect to get anywhere. But we did. In fact we are one of the winners! Dougal Campbell was a very influential figure in the Specialist Cheese industry who I’m afraid I never met. I do know people who speak feelingly of how inspirational and generous he was with his knowledge and time. 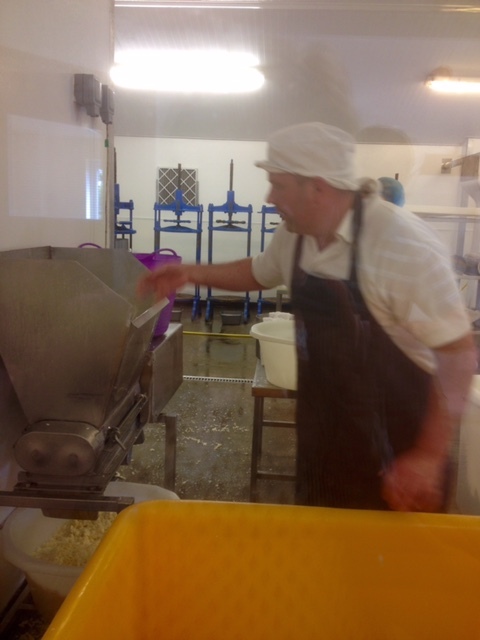 If it weren’t for him, we wouldn’t have either Lincolnshire Poacher or Hafod on our cheeseboards to name but two. I do remember his cheese though. In the mid 90s when I was fresh out of university and learning the ropes at this quirky shop in Covent Garden called Neal’s Yard Dairy, we received a delivery of some of the last Tyn Grug cheeses he had made before he died. Possibly because it coincided with me learning to set up a display and learning to sell and taste out cheese to customers, I can still l distinctly remember the big, heavy natural-rinded wheels that could be built into a pleasingly eye-catching tower. I remember the cheese’s golden colour and a fruity flavour that flirted with wildness. I also remember the sadness at his death that was felt at Neal’s Yard amongst the more experienced mongers behind the counter who had met him and knew the cheese and its maker considerably better than I did. It feels very apt to have the influence of this cheesemaker again as I’m embarking on another new learning curve. In order to apply for the bursary, we had give details of how our farm is managed along organic guidelines and our intentions for the cheese. I found it pretty interesting, not least learning about what Phil the farm manager does. With a bit of luck you will too. Nettlebed Creamery is a new business and we are in the process of building a dairy with the aim of making a washed rind cheese and a blue cheese using the organic milk produced on the Nettlebed Estate at Merrimoles Farm. Merrimoles Farm has been in the Fleming family since 1901. 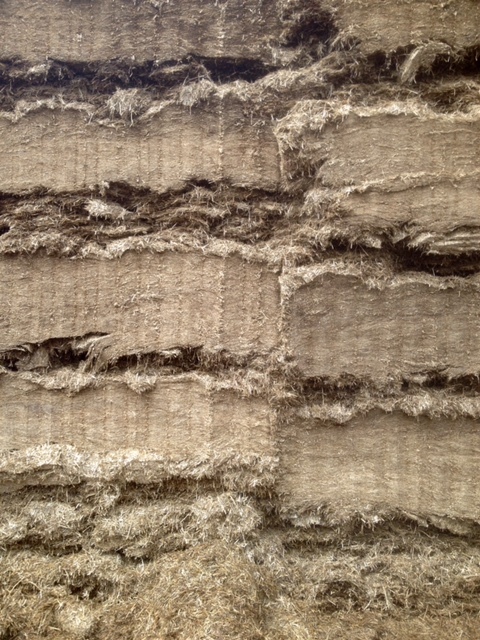 The farm is a mixture of arable, sheep and dairy. The Dairy has been sited at Bix since 1969; it became organic in 2004. 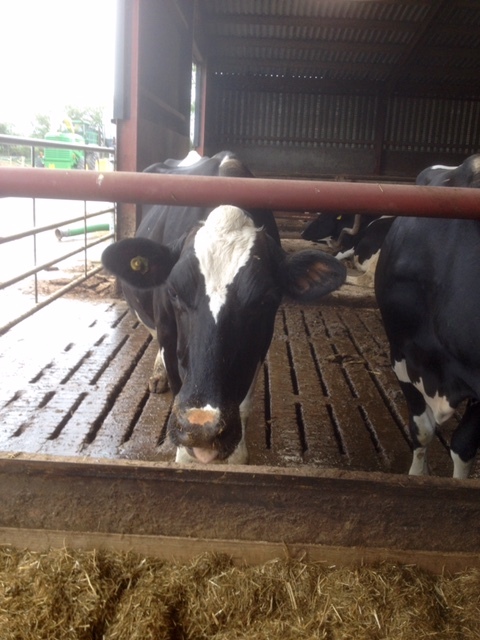 There are over 130 cattle in the dairy herd. They are cross-bred Holstein Fresians with Swedish Reds and Montbelliards. The herd are fed using as much home grown feed as possible including in addition to grazing: clover silage, whole crop barley, grain and beans (approx. 15% is purchased – parlour cake). The growth of pasture and feeds are managed using a rotation including clover crops to fix nitrogen and provide fodder. The cross breeding of the dairy cows (Holstein-Friesian, Swedish Red & Montbeliards) has been undertaken to maintain hybrid vigour and provide long lasting, healthy, fertile animals. The farm is in the Organic Entry Level Scheme (OELS) and has established grass margins, maintains hedgerows and trees and has areas of low input grassland to maintain and increase biodiversity. They alternate grazing with sheep where possible to limit the effect of internal parasites, reduce the need to worm and therefore avoid wormer resistance worms. They use 500t of Green Waste Compost annually to maintain soil reserves and avoid using finite mined fertilisers. In addition they have invested in energy saving electric motors and a heat recovery unit at the dairy (milking) to reduce our energy use. 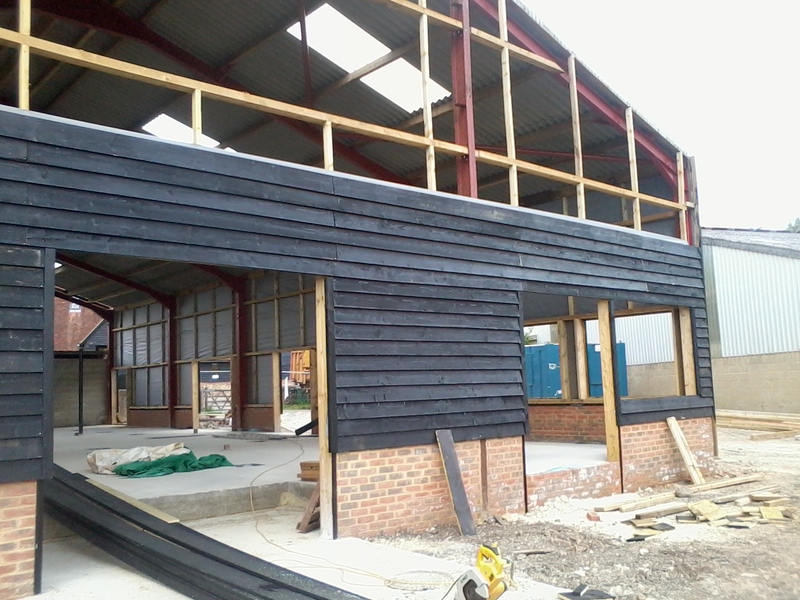 The Creamery, we are building, is designed taking energy efficiency into account. We will be using water from our neighbour’s woodchip boiler for all our hot water and for our heating as well. 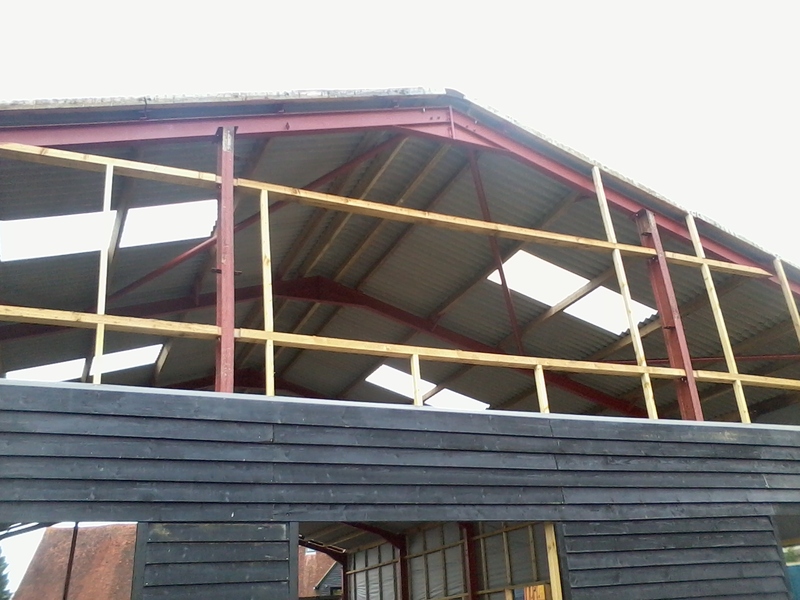 We have plans to use solar panels from the roof of the barn next door (our landlord is finalising these plans currently). After our first year of cheese making we will be creating a wetland system to take all the grey water, sewage and the whey from the facility: a system of swales and ditches to filter the waste into clean water. We then intend to plant fruit trees and willows, rushes and wild orchids to assist with the water filtration and at the same time encourage biodiversity. 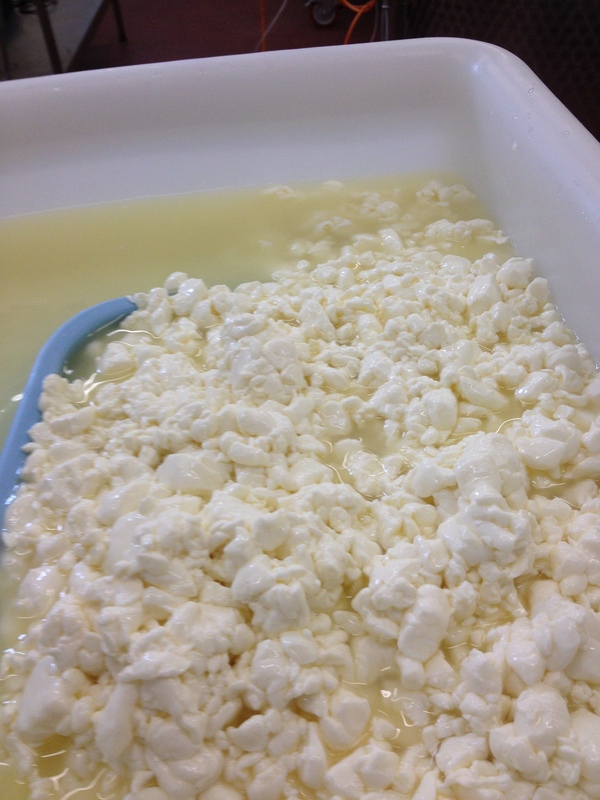 The cheeses we intend to make will be made using raw milk and using traditional, liquid yoghurt starter cultures. Eventually we intend to culture our own starters and ripening agents solely from the raw milk produced by the estate and vegetable matter grown on the estate (a valuable potential source of lactic acid bacteria), eliminating the need for bought in cultures. 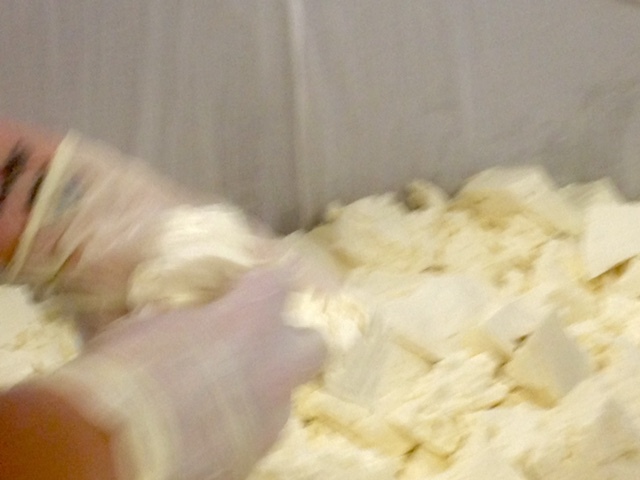 The cheeses will be entirely made by hand which suits the production of soft and blue cheeses best. We will use open vats and the cheese will be made without the use of mechanical stirrers as our soft and blue cheeses require a more gentle handling. A comprehensive set of maturing rooms has been designed to then ensure the cheeses are kept at the appropriate humidity and temperature at all stages of their ripening. 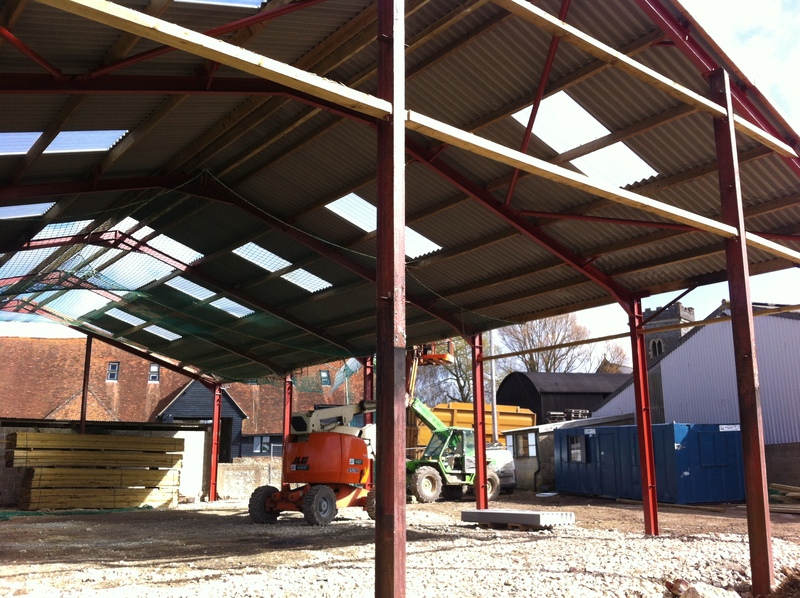 By building a dairy we intend to provide the farm with a future for its Dairy herd which is no longer subject to the fluctuating prices of the milk market. The need for an alternative customer to the current purchaser on the farm was highlighted at a point when the milk price and amount of organic premium was cut without very much warning. Our dairy will negotiate a fair milk price for the farm that allows them to be profitable and importantly that is guaranteed. In return for milk being produced to specific standards regarding bacterial levels and fat and protein content our milk price can be increased. 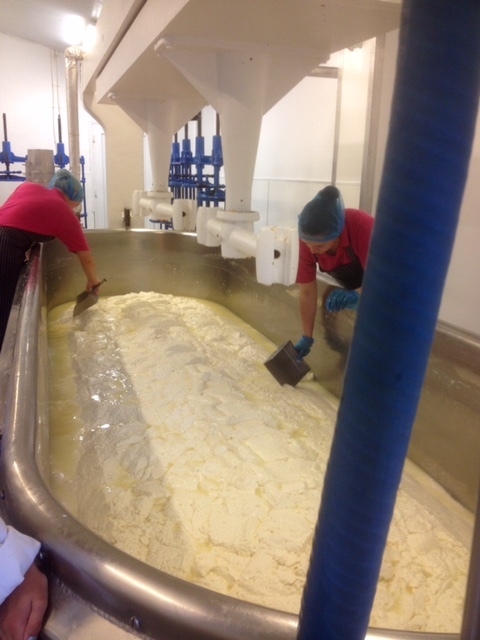 In addition to cheese, we have plans to investigate the possibilty of using more of the farm’s milk to produce a range of yoghurts and frozen yoghurt. This in turn will allow the farm to maintain and improve on its current sustainable practices and will mean it does not have to dramatically increase herd size in order to turnover more money. Re-reading this, although these are the aims we’ve talked about since the beginning it does make me feel a little nervous as our aim of fair milk price and providing a sustainable future for the herd will only work if the cheese is as good as I can make it and therefore we sell plenty of it.